In one day, your smile and your life can be different. With Refresh Smile, you can get dental implant-supported dentures in a single visit to North Shore Oral & Maxillofacial Surgery. 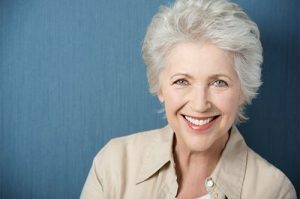 With many dental implant procedures, you have to wait months before your dentures can be attached. If you come to our dentist office in Buffalo Grove, IL, our oral surgeon, Dr. Scott Frank, can place your implants and attach your dentures in one day. This is possible because of the Refresh Smile procedure. Dr. Frank will work with your general dentist to make the procedure run as smoothly and effectively as possible. Call 847-613-4933 or contact us online to schedule a consultation so you can learn more about the life-changing Refresh Smile procedure.